Assigners = Admin under the Users tab who have been given 'Assigner' role. Scorekeepers = Admin under the Users tab who have been given 'Scorekeepers' role. 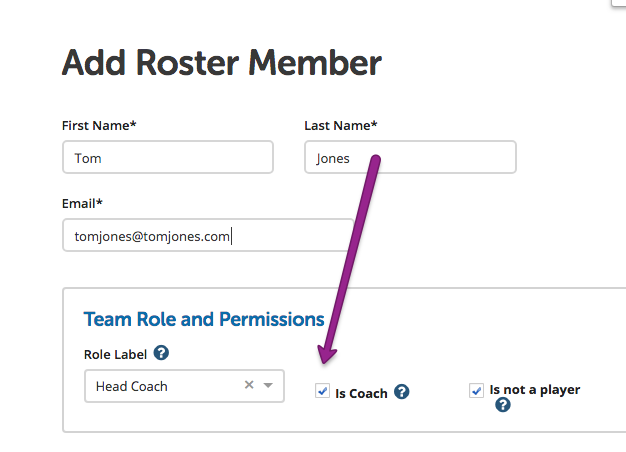 Coaches = All roster members in an event with the check mark "is coaches." This does not include organization admin. Event-Followers = Anyone who has downloaded the Tournaments mobile app, and is following your event. Event-Followers who are using the app "as a guest" can receive in-app messages. Event-followers who have an account can receive a copy of the message as an email as well. Assigners can also select Event Officials or All Officials as recipients. These options only show up for members with the Assigners role. They can select to message either All Officials or just Event Officials, and can also filter down by adding the tag/ability that the officials are tagged with in order to target the message to those with matching tags. Sent messages are listed in the messages tab for future reference. To learn more about Tournaments member types, click HERE!